Keeping your audience in mind when looking for bars in St Helens for sale is a wise strategy. You will want to consider what your audience would likely want from a bar in St Helens, such as decor, entertainment and drink range. So once you understand what your potential customers requirements, start your search for St Helens bars for sale here at MOVEHUT. You could be considering including entertainment when buying a bar in St Helens. This could potentially increase your customer base in St Helens when you buy. Furthermore, your plan may be to offer venue hire for special events including weddings in St Helens. So before buying a bar in St Helens, why not think about the types of entertainment you can offer. You could well find that the location of a bar in St Helens is a prime consideration when buying. 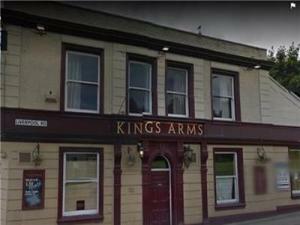 You will find bars in both quiet and busy areas of St Helens. So why not browse bars for sale in St Helens at MOVEHUT and ensure to choose the most suitable location. Knowing which type of bar you want to buy will be an important factor during your search. You might be looking for a property in St Helens that is suitable for many purposes, such as a music bar on a certain day. Therefore, knowing the bar types available in St Helens should make searching really straightforward.